You really think it's cool for you to eat a PIG and a PANDA? Well, I guess yes! There is a featured bun in CHOWKING that makes a trend in social media, the great twist to eat this bun for a FUN. Maybe you will feel bad eating PIGGY and PANDA at first, but when you come to savor it you will surely ask for more. 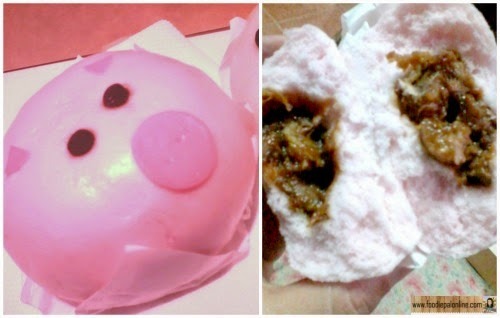 The new craziest steamed bun from Chowking, a bite sized HAPPY PAO that are too adorable to eat. 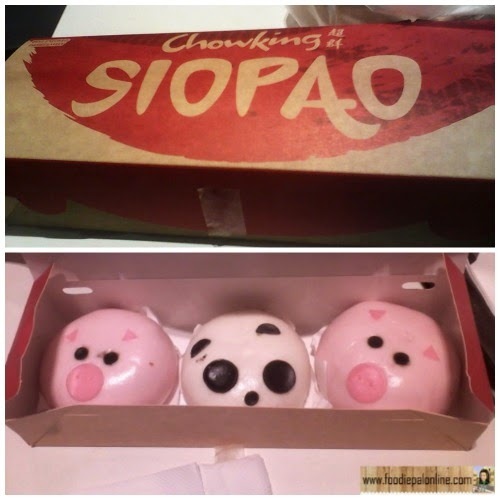 I've been seeing these many times appear in my news feed, I even ask my friend in FACEBOOK where to buy them and at last after so many days, I've bought Happy Pao at Chowking-Victoria Plaza Branch. 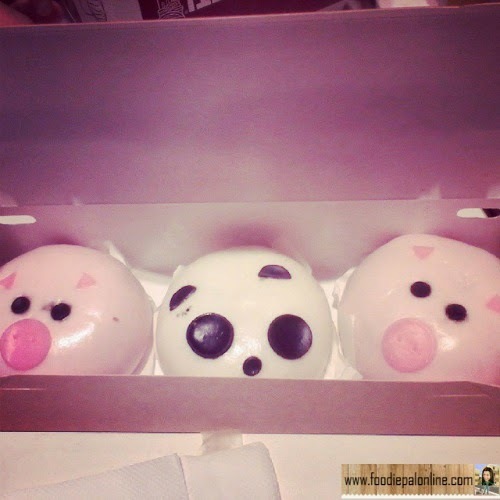 Happy Pao is a steamed bun or a "Siopao" that has different animal character like Pig and a Panda with different fillings added. HAPPY PIGGY PAO with ASADO fillings. A chunks of meat inside a bun, a typical Filipino asado siopao. 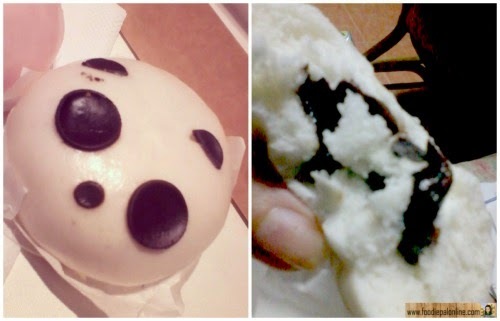 HAPPY PANDA PAO a chocolate filled bun that it is very yummy. Your taste buds will surely greet with subtle of sweetness and rich with melted chocolate. *Don't worry Mommies that thing you seen above the Happy Pao face are all EDIBLE, fit to be eaten. What I like about these SIOPAO(steamed buns) is the BUN itself. It's firm and bouncy it has a gummy texture, a right amount of a fluffy bread consistency, truly out of this world DELICIOUS! So what are you waiting for? 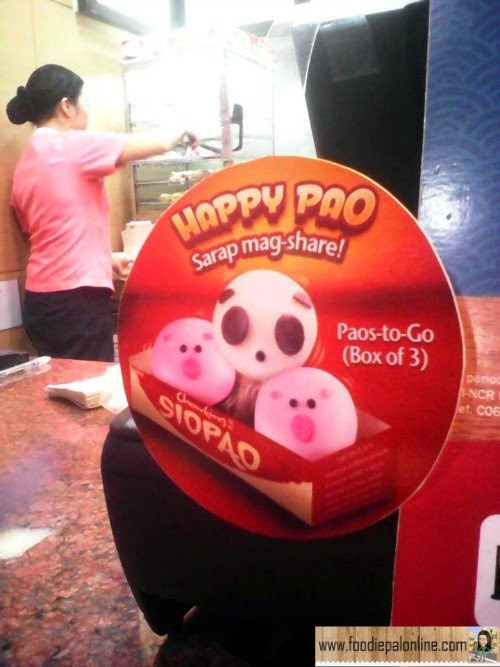 Try the newest SIOPAO in town the HAPPY PAO by Chowking. I discovered this a few weeks ago and I love both. The Panda with Nutella and the Pig with the Asade. I've seen a lot of pics of these cute siopaos. I hope they taste as good as they look! Your description of the bun makes me want to try them. You are making me miss Chowking foods in general. But this happy pao seems like a bomb. Can't wait to have it come the time of my next visit sa aking bayang sinilangan.